Ordinary mattresses are quite thick. They have room for high quality springs to float before they compress fully. High quality springs have more coils. (See Image at Left). Sofa bed mattresses are less than half as thick as a good standard mattress. There isn’t a lot of room for springs to float before they fully compress. Top quality springs are out of the question. (See Image at Right). If you are concerned at all about purchasing a replacement mattress online, just give us a call at 888.889.2812. We’ll be happy to walk you through the process and eliminate all of your concerns. If you’re still uncomfortable ordering a sofa mattress, trailer mattress, marine mattress or truck mattress online, we’ll be happy to take your order over the phone. Whether you prefer talking to us first, or easily ordering from this site, there are some very good reasons to buy your replacement mattress online. SHAPE AND SIZE – Convertible sofa bed mattresses come in a huge range of sizes as our chart shows, while you can order a trailer mattress, a marine mattress or a truck bed mattress from us in different shapes and sizes. QUALITY – Each of our replacement mattress types come in many different quality grades. We sell only top quality mattresses on this website. Stores usually carry average quality, if they have any at all. PRICE – We ship directly from our factory. Boat, trailer, truck sleeper and sofa bed mattresses will cost you about 60% more in stores. AVAILABILITY -If we do not have what you want we just make it. Additionally, if you need a custom mattress, we will make it and you will have it in about a week. SECURITY – We use PayPal. They are about as secure as it gets. Buying on the phone, or even in stores means that you will be giving your credit card information to a stranger. Before removing the template of the platform, write TOP on the paper to indicate the top side of the mattress, which is the side you will sleep on. We are out to become the white knights of the replacement mattress business. As such, we make every effort to deliver the sofa bed mattress, trailer mattress, boat mattress or truck sleeper mattress of the best value and quality possible within the price range you selected. Additionally, we will promptly resolve all reasonable complaints in order to please you, our customer. Replacement-Mattress.com warranties that its sleeper sofa bed mattress, trailer mattress, boat mattress or truck mattress is free from manufacturer’s defects for a period of five years from the date of purchase. This warranty does not apply to the mattress cover. All replacement mattresses covered by this warranty must be returned in sanitary condition (no stains), and the customer is responsible for all shipping costs. We will replace or repair the mattress during the warrantee period at no additional cost to you beyond the freight charges. We recommend you pay for you order using our website, as it is actually the most secure method for our customers. We accept major credit and debit cards (Visa, American Express, MasterCard, Discover, etc.) via the Braintree gateway, which is one of the premier payment processors in the USA. They offer the highest level of security and fraud protection possible, benefiting both our customers and our business. If you prefer using PayPal, which is also very secure site, we offer that option as well. In no case do we store any of your credit card information on our site. If you are uncomfortabe entering your payment information into our website, you can always call us and we will help you with your order. Fast – we will manufacture your mattress and ship it as fast as possible. Common size sofa bed mattresses are in stock, and will ship the same day if ordered by 9am, eastern time, otherwise your stock mattress will ship the next weekday. Custom order sofabed, RV, boat and truck mattresses will ship between 4 and 10 business days from the day you place the online order. Free Shipping – We never add a separate charge for shipping within the lower 48 states. 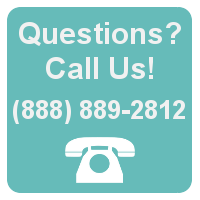 Please call us if you’d like us to ship a mattress outside of that area. Orders for stock sizes (queen and full sofa bed mattresses – see chart below) received by noon will often be shipped the following business day. All other sizes of Sleeper Sofa Mattresses, all Camper mattress, all Boat mattress and all Truck Sleeper Mattress sizes are custom orders. All custom orders received before Sunday @ Midnight (Eastern Time) will often be shipped by the following Thursday. Here is a map showing the approximate days in transit. We want you to be happy with the replacement mattress you purchase from us, whether it’s a sofa mattress, RV mattress, marine mattress or truck mattress. If you are dissatisfied for any reason within 30 days of receiving your product, we encourage you to get in touch with us by phone. If you decide you’d like to return your replacement mattress after speaking with us, we will issue a return merchandise authorization (RMA). Simply return your sofa bed mattress, RV mattress, boat mattress or truck sleeper mattress within 30 days of receiving your product, and place the RMA number on the shipping label. Once we receive your mattress return, we will issue a full refund, less the original shipping charge. Please note that the customer is responsible for all return shipping costs. The most important factor is the weight of the sleeper. Our sofa bed mattresses are designed for the majority of people. About 90 % of sleepers will have no problem with either of our models. Obviously, extremely heavy sleepers may deflect the sofa mattress beyond its ability to fully cushion the bar. Another issue is related to the foam density of the sofa bed mattress. The denser the foam, the more forgiving the mattress. If you think it might be a problem, we urge you to consider our Platinum sofa mattress. No other sofa bed mattress can beat our quality in any respect. With regards to not feeling the bar, our products excel. What should I take into consideration when buying a sofa mattress? Glad you asked! We prepared this “Sofa Bed Mattress Buying Guide” in order to help you make an informed decision. From making the correct measurements and understanding mattress types, to return policies and shipping, you will get many useful tips from this guide. Click here to read the guide! How do our mattresses differ from the competition? We use solid core foam in all of our mattresses. This provides the best support in a 4” depth, and keeps the mattress from “bottoming out.” Additionally, we use a “Sewn Tape Edge” construction for durability. We feel that some things are better done the old-fashioned way. For us and our customers, it’s worth the time it takes to tape edge and sew the cover on, as it stands up better to folding and unfolding of the sofa bed mechanism. In our eyes, this is far superior to a cheaper “zip-on” cover which is favored by our competition. Do you manufacture other RV and Boat mattress shapes not listed on your site? Yes… We make radius corners, large radius ends, as well as mattresses which require a combination of cut and radius corners. How long will it take to ship my new sofa, marine, truck or RV mattress? Common size mattresses can be shipped within one day if an order is received by noon, Eastern Time (full and queen sofa bed mattresses can be shipped within one day). A custom mattress is typically shipped within 7-10 days of being ordered. How will my new mattress be shipped? Your new sofa bed mattress, camper mattress, marine mattress or truck bed mattress will be shipped from our facility in NJ either via UPS or FED EX ground. How will my mattress be packed for shipping? After your mattress comes out of production it will be compressed, folded , rolled and boxed for shipment via FedEx ground service or in some case USPS (Hawaii, Alaska, Puerto Rico). The box size will be approximately 42″-47″x16″x16″. Will you notify me when my replacement mattress has been shipped? Yes. You will receive a confirmation from us via the shipping carrier. What if I discover that I ordered the wrong size mattress? It is very important to accurately measure your sofa bed, or wherever your replacement mattress will go, in order to get the correct size mattress. If in doubt, call us. It’s a free call and we’ll help you get it right, as the saying goes… measure twice, cut once. If, however, you accidentally ordered the wrong size sofa, RV, truck or boat mattress, you may return it according to our Return Policy. Can I cancel my order once it has been shipped? You may cancel your order any time prior to delivery. However please note that, once shipped, you are responsible for the original freight cost we charged, and for the return shipping cost. We only charge sales tax when shipping to New Jersey. We do not charge sales tax on any order within the remaining 47 contiguous states.